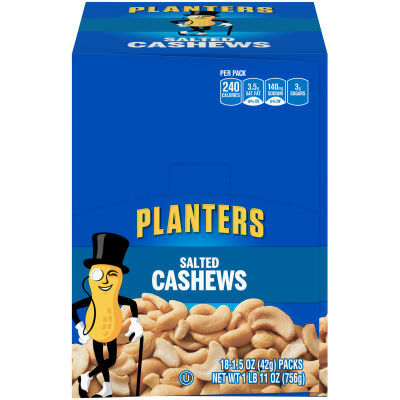 Planters Salted Cashews delivers that quality flavor you’ve grown to trust. A and delicious snack, these cashew nuts offer the perfect pick me up with the salty and nutty flavor you crave. - Available in a convenient 1.5 oz snack-size bag so you can enjoy this crunchy treat while you’re on-the-go. Serving size 1 package (42g).